Forget about shiny and ultra glossy, it's all about the lip stain this season! It actually reminds me of a girl who's been stealing some cherries, or maybe a vampire movie starring Snow White. Try the bitten vampire-look, the most popular one during Fashion Week. Make sure that you put on some foundation (or consealer) first, then put on some darker shade of lipstick and put it in de middle of your lips. 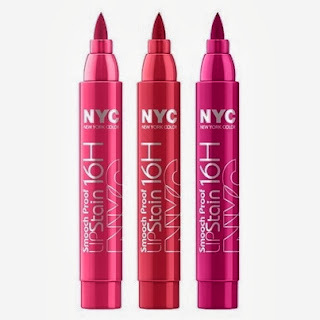 Try NYC, Smooch Proof Lip Stain. Want something more? 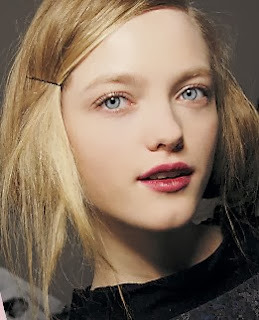 Try to put on a shade of lipstick on your lips and then put on some extra in the middle. This will make it look darker and intense. Just perfect this fall. 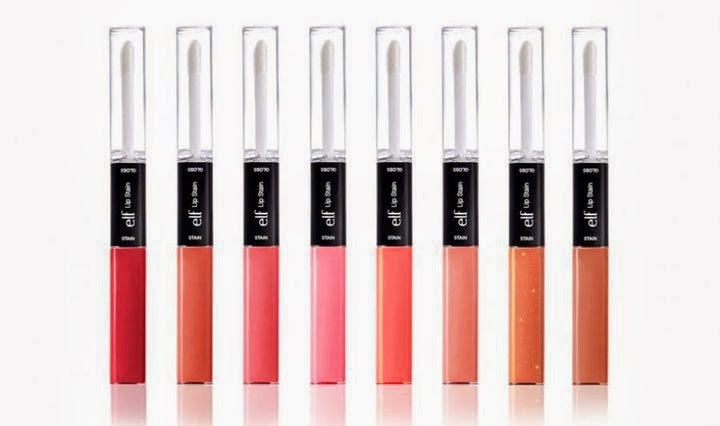 Maybe you're more into chopsticks and sweetness, then you'd be happier with Elf's Lip Stain. It's very girly and it makes your make up look sweet and subtle. 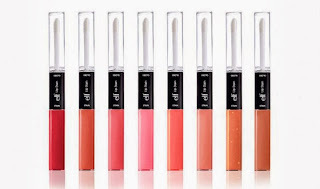 It also has a glossy side on it, if you would like to make your make up even more girlier. Enjoy the week end! Don't forget to look nice and be happy!